Q:Jim Abrams, does the new Swine Flu outbreak present hotel operators with any unique legal duties? Hotel operator legal duties arising from the Swine Flu outbreak are much the same as they are with respect to other infectious diseases. Given the fact that all people and things are now truly “global,” concerns involving such diseases as Swine Flu, SARS, certain virulent strains of TB, and a possible “bird flu” pandemic, innkeepers should be clear about what their obligations to provide accommodations to people with infectious diseases. The same is true with respect to guests who are already in the hotel who are discovered to have an infectious disease. Q:Can a hotel operator actually refuse access to hotel guests who appear to have the Swine Flu? In the U.S., we have continued many of the legal principles developed in medieval England, when it was unsafe for travelers to be on the road at night, and needed the safety and comfort of an inn or a road house. In the early days, innkeepers had strict liability for failing to protect their hotel guests and their property. And these rules and traditions were carried over to the United States, where, even before the advent of civil rights statutes, lodging operators have been obligated legally to provide accommodations to all who request them unless they have sufficient legal grounds to refuse to do so. This is generally the law in most, if not all, states. In California, for example, Penal Code Section 365 makes it a misdemeanor for a hotel to refuse to give accommodations to someone unless the hotel has “just cause or excuse” to do so. Q: If a guest has an infectious disease, like the flu, is that “just cause or excuse” to refuse lodging? Interestingly, the law in California and most other jurisdictions recognizes that hoteliers have a right to refuse accommodations to those who have an infectious disease. This right derives, in part, from the underlying legal obligation that lodging operators have to protect their other guests. And not surprisingly, under the common law, hotel operators had a similar right to evict a guest who contracts a contagious disease that is easily spread. If a guest or employee appears to be very ill and the innkeeper isn’t sure whether or not it is evidence of a infectious, contagious, or communicable disease, the innkeeper should err on the side of caution and contact the local Department of Environmental Health or similar entity. Q:I can imagine some serious problems if operators wrongfully or overzealously identify someone as having and infectious disease. In such a case, the innkeeper must weigh carefully his/her obligation to accommodate the disabled individual while still fulfilling his/her obligation to protect the other guests in the hotel. The Americans with Disabilities Act allows a business to refuse to accommodate a person with a disability if to do so would pose a “direct threat” to the health and safety of others. Q: Jim, given the sensitive nature of this “diagnosis” one wonders if a “Don’t ask. Don’t tell” approach might be safer. Does an innkeeper have a duty to inquire? No case has been found which requires innkeepers to make inquiries regarding the physical state of prospective guests. Asking for such information could possibly constitute an invasion of privacy, depending on the circumstances. Additionally, a guest might be able to assert a legitimate claim for humiliation, infliction of emotional distress, or a similar harm, depending on exactly how the innkeeper handles a particular situation. You are right, Jim. This is a sensitive situation. If the innkeeper learns about a guest’s health, care must be exercised to maintain that information in confidence or the innkeeper risks incurring liability for invasion of privacy, negligent/intentional infliction of emotional distress, or some similar tort. The mere fact that there are many cases of Swine Flu in Mexico doesn’t mean that everyone traveling from Mexico has the disease. Therefore, no blanket exclusion should be applied. Among other things, it could be argued that such a policy constitutes discrimination based on national origin in violation of both federal and state law. Q: How about an operator’s obligations to protect its own workers at the lodging facility? Q:But how about obligations to actually make and keep the workplace safe for employees? Cal/OSHA enacted a “blood borne pathogen standard” a number of years ago (Title 8, California Code of Regulations, Section 5193), and this establishes some rules that will apply to situations such as this. For example, bedding and linens that contain bodily fluids must be treated as biohazardous materials and handled in strict accordance with the regulation. Among other things, employers are required to make sure that training is provided with respect to the standard and to take steps if there is a specified incident. Employers also need to integrate this standard into their ongoing Injury and Illness Prevention Program protocols. And, yes, employers owe a duty to provide employees with a safe place to work. It could be argued that failure to take steps to exclude or remove people with Swine Flu (or similar dangerous diseases) might breach that duty. Q:What should an innkeeper do with sick guests? Can you just throw them out of the hotel to avoid infecting your other guests and your workers? If a guest becomes injured or ill, whether with Swine Flu or otherwise, the hotel has a duty to take “reasonable steps” to assist the guest. In California and a number of other states, the hotel is not obligated to render medical attention; instead, the hotel is required to take reasonable steps, which is usually, and best, accomplished by contacting appropriate medical personal as soon as possible. Be sure, however, that the medical assistance you summon is qualified — one hotel was held liable for having an unqualified nurse see a sick guest, and the nurse made the guest’s condition worse. Q:What other steps should operators take now? Do hotels need any special equipment, cleansers, or procedures? I would recommend that every lodging operator should contact its local Department of Environmental Health immediately and implement the steps that they recommend. These agencies are going to be the most informed about the current and ongoing status of the Swine Flu outbreak, and they will provide the best information as to what hotels should be doing to minimize the risks. These agencies will be in the best position to provide information as to what personal protective equipment might be appropriate, cleaning and sanitizing measures that should be implemented, warnings that should be given, and other related topics. Q:There seem to be a lot of complicated issues for hotels dealing with infectious diseases like the Swine Flu. What does an operator do if they haven’t gone to law school, or don’t have a lawyer on staff familiar with these issues? There are many legal risks that Swine Flu and other similar diseases present to hotel operators. As we say here on www.HotelLawBlog.com, our information is intended to be informational and alert our industry friends to important issues, but we cannot provide legal advice here. That can only be provided by a lawyer properly licensed in the relevant jurisdiction. communicating directly with a client, getting all the relevant facts, and responding as appropriate. This is an important area of legal exposure. So we do advise that innkeepers seek the advice of legal counsel in establishing the policies and procedures that they wish to implement in this sensitive area. I am personally getting a lot of calls for this kind of assistance right now, and we are happy to help clients sort through all of this. This information was prepared by Jim Abrams of JMBM, and you can contact him at 415-984-9679 or jabrams@jmbm.com. James Abrams is Of Counsel at JMBM and is a senior member of JMBM’s Global Hospitality Group — a team of 50 seasoned professionals with more than $87 billion of hotel transactional experience, involving more than 3,900 properties located around the globe. Jim has served the hospitality industry for 40 years and specializes in lodging and hospitality law and in representing and advising trade associations and other non-profit entities. Jim has significant experience in government affairs at the national level, the state level – including the California Legislature and scores of state agencies – and with local governments and agencies. He has authored successful ballot measures and scores of bills for his clients. 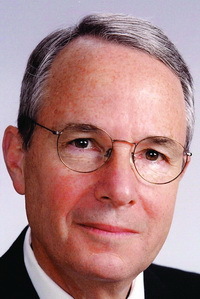 Jim served as the President and CEO of the California Hotel & Lodging Association from January 1, 1991 through December 31, 2008 and is currently an adjunct professor in the Hospitality Industry Management Program at the University of San Francisco. He is a frequent speaker and writer on all aspects of the law relating to the lodging and hospitality industries, and he is the author of the book Laws Pertaining to the California Innkeeper, which is published by the California Hotel & Lodging Association. To read Jim’s articles, go to www.HotelLawBlog.com. For more information, please contact Jim Abrams 415-984-9679 or jabrams@jmbm.com.